Just as you spent a lot of time nurturing your diner business when you purchased or started it, doing the same when preparing to sell it will pay dividends and will be well worth your time. If you’ve decided it’s time to sell your diner, you may be wondering where to start. A diner is a unique operation and there are several things to consider. Regardless of your reason for selling, doing your due diligence will increase your restaurant’s appeal, speed up the time it takes to sell it and, ideally, help you fetch your desired price. Selling any business inherently comes with some stress, but these tips will help ensure you’re not overlooking any important details before slapping that for-sale sign on your diner. First and foremost, focus on your diner’s appearance. As the saying goes, you never get a second chance to make a first impression. That holds particularly true when selling a restaurant. It’s important to make sure that any would-be buyers that visit your diner find it well kept on the outside and clean and tidy on the inside. Make sure that any landscaping (grass, bushes, trees) are properly groomed and free of trash or other debris. You’ll also want to ensure that any exterior trash receptacles are out of sight of the entrance and dining area windows. If the building itself needs any exterior maintenance, such as a fresh coat of paint or signage repairs, now is the time to take care of those things. Keeping up interior maintenance and cleanliness can seem challenging if you’re selling a diner that is currently operational. In reality, however, it shouldn’t be any more work than keeping your diner’s appearance up to snuff for paying customers. After all, you never know when you’re serving a potential buyer. When it comes to restaurant sales, dining at an establishment is often the first step a potential buyer takes in his or her decision-making process. In addition to overall cleanliness, make sure fixtures are all clean and functioning properly, and that the restrooms are spotless. Other than the past success and reputation of your diner, having your records in order for review by potential buyers is one of the best ways to make your diner stand out from others on the market. Poorly maintained or inaccurate records are cited by business owners as one of the primary reasons potential sales fail. A serious prospect will request detailed balance sheets and profit & loss statements early on and well-kept records will increase your chances of a sale. Be transparent about the status of leases and permits. Once your financials pass the test, lease and any permits on property or equipment that will be included in the sale will likely be the next thing a prospective buyer wants to take a look at. If you have upcoming expenses in these categories that will come due near the time of the sale, you need to decide whether you will shoulder those expenses and adjust the purchase price accordingly, or pass them on to the buyer to be paid after the sale. If you opt to do the latter, determine an accurate and honest estimate of any lease and permit costs the new owner will incur in the near term after the sale closes. Overall, you want to be cooperative and accommodating and supply any information the buyer requests to aid in their decision-making process. Focus on the health of your diner. This applies to all aspects of your operation, from numbers to supplier relationships. You want to make sure everything is in top shape for a sale. Obviously, the better the financials look, the higher you can set your asking price. If you’ve lost focus on this, you’ll benefit from focusing on a healthy bottom line for 6-12 months ahead of the sale. You’ll also need to make sure all of your supplier relationships are strong and intact. Nurturing these relationships with goodwill and, most importantly, timely payments to vendors, not only secures your reputation, but will also benefit your prospective buyer. Once you have your affairs in order, you’ll want to enlist professionals to help with the sale of your diner. A business broker that has knowledge of the restaurant industry in your area can help you determine the value of your diner, how and where to advertise it, how to locate buyers, and handle negotiations. 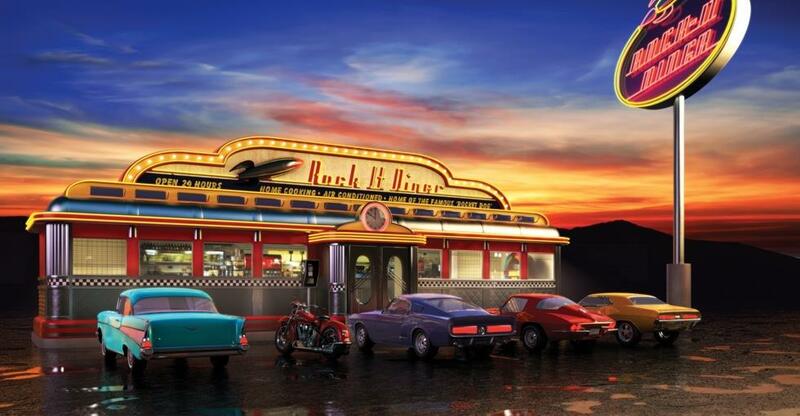 A businesses-for-sale listing service can increase your diner’s visibility.